Startup Savant spent an entire year dedicated to interviewing 101 entrepreneurs from different industries, locations and goals. 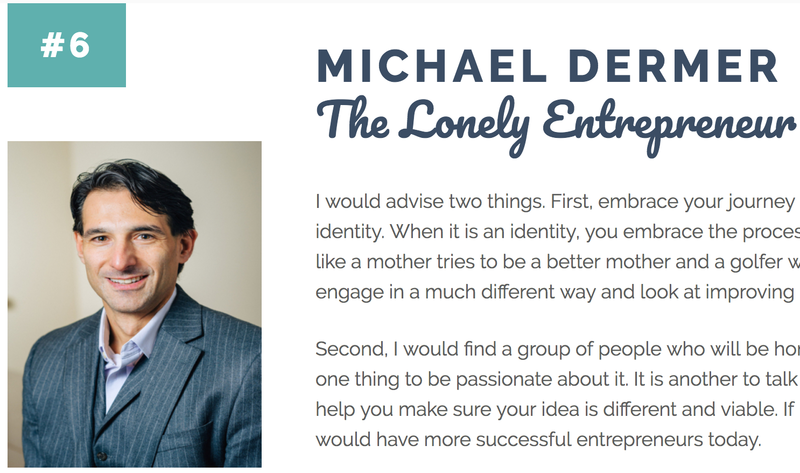 Michael Dermer from The Lonely Entrepreneur was named #6 out of 101 in the top lessons learned. I have been reading out some of your articles and i must say pretty nice stuff. Thanks very much! Be sure to sign up for our free daily perspective at lonelyentrepreneur.com/subscribe that helps you be and do better each day. We use WordPress as well with a bunch of good plugins. Think that is still your best option.